In modern times, our lives have certainly become a bit more... dynamic. Some might say its good, some that it's bad - I don't really know or care. One definitive thing, that I think we should all agree on is, that this dynamic lifestyle, just like dynamically-typed programming languages, have a bit higher level of error-proneness ⛔. But, talking in pure English, this velocity in a very notable degree commits to us making more and more errors and mistakes in everyday tasks - forgetting stuff, misreading, postponing, etc. That's why, in this article, we'll explore some of the best pieces of software 👨‍💻 that can really help us, stabilize and accelerate 🏎 our lives and productivity. To-dos represent a very good technique for remembering 🤔 stuff. And, just like many other methods discussed in this post, it can be done only with a single sheet of paper and something to write. It's relatively simple and convenient. But that's also a problem, at least when it comes to software. Such tools need to be well-designed 💅. Authors need to provide their users with the same level of earlier mentioned convenience and expressibility. A simple to-do app, that is a good start point for learning new programming language BTW, won't be enough. Successful to-do tools, need to provide best portability, feature-set and have UI intuitive enough for people to have the feeling just like with real paper. Sadly, but obviously, what's good has its price 💰, and this time it's in freemium style. Optional subscription-based premium tier completely removes all possible limits. This includes features like recurring tasks, additional theme and color options, and collaboration. Sure, it doesn't cost much, but considering the paid feature-set, I prefer to stay with the free option. 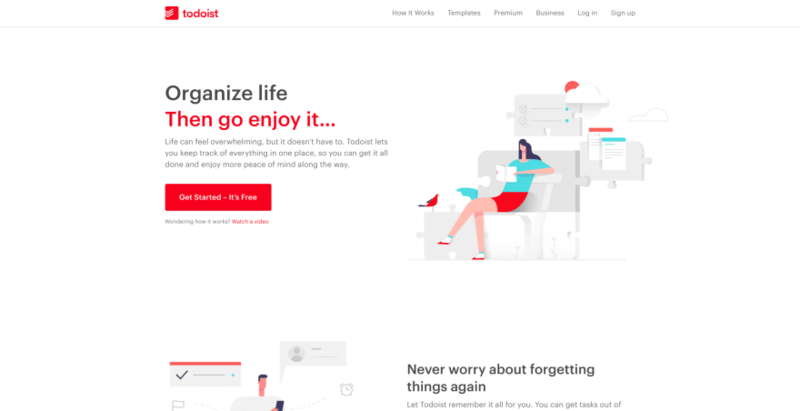 Todoist is yet another great to-do application being both cross-platform (web and mobile) and... freemium. This time in red rather than blue shades. In my eyes, this app is certainly more focused on project management 🙌, rather than everyday life (like Any.do is). This naturally comes with some additional features like templates, analytics, visualizations (of your time and tasks), backups, etc. There's also a big note about integrations 🔌 with other apps and ecosystems like Google Calendar and Zapier for tasks automation. Of course, Any.do has some of these features as well, just they're as popular / widely-used. The premium, subscription version brings i.e. custom templates and automatic notifications 💭. 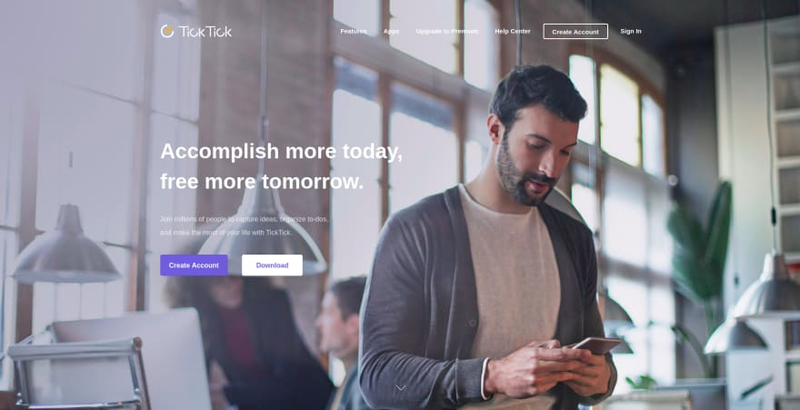 TickTick is one of the most feature-full apps on this list. Naturally, basic features like reminders, sharing, calendar view, and themes 🎨 are all built-in and available in its free version. Because, yeah, it's again cross-platform and freemium. But this time it's different. The premium, subscription-based version packs some really impressive functionalities as voice assistants 📣 support, more time and calendar features and, my favorite, smart lists 🤔. What smart lists basically are is a connection of filters and custom options, making your to-do lists a little bit... smarter. With all that stuff in mind, TickTick is indeed a worthy recommendation. Adding great design and UI, maybe it is a good value indeed. Wunderlist is one of the most popular to-do tools. Its main advantage is simplicity. 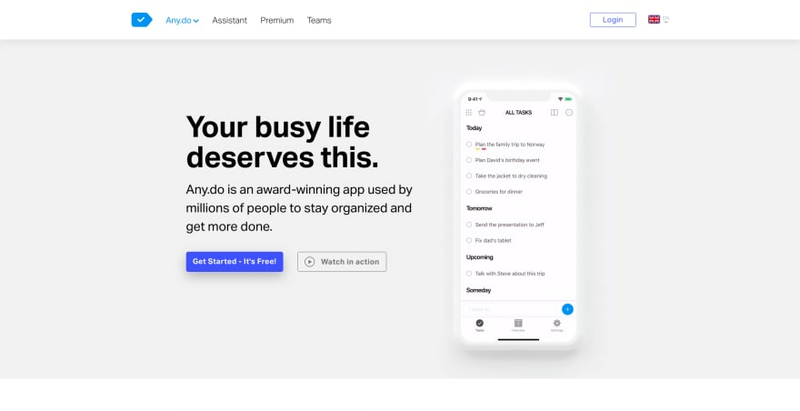 It's primarily focused is centered around the basics - folders 📁, to-dos, cross-platform and collaboration features. But fear not - there's more! Notifications, notes, hashtags and more standard-grade functionalities included. What's even more interesting is the existence of official developer API, allowing you to create custom integrations and also used the existing ones. This small, but pretty feature-full list includes ones like Twitter, Slack, GitHub and Zapier which combined can deliver impressive experiences to your to-dos. I haven't mentioned the best thing yet - it's totally free! 🤑 All pro features, which were previously bundled with the premium version (ended 2018) are now available for free. This most likely has something to do with the team behind Wunderlist joining Microsoft back in 2015. This has led to the creation of other to-do list called Microsoft To-Do which can be considered Wunderlist's successor. But, as it still needs a lot of work, Wunderlist is fully-supported... for now, but new features aren't likely to be introduced to it. 😕 Still, it's such a good tool that it was worth a mention on this list. At list IMHO, charts of all kinds are the most underrated form for organizing stuff. While extremely popular and easy to draw on paper, working with chart software to me feels a bit... overwhelming. Dragging and dropping, connecting and loop makes this whole process boring and counterproductive. Sadly, that's the way most of these apps do it and we have to accept that. Of course, with well-design UI and vast feature-set, using such tools can still be at least somewhat enjoyable. 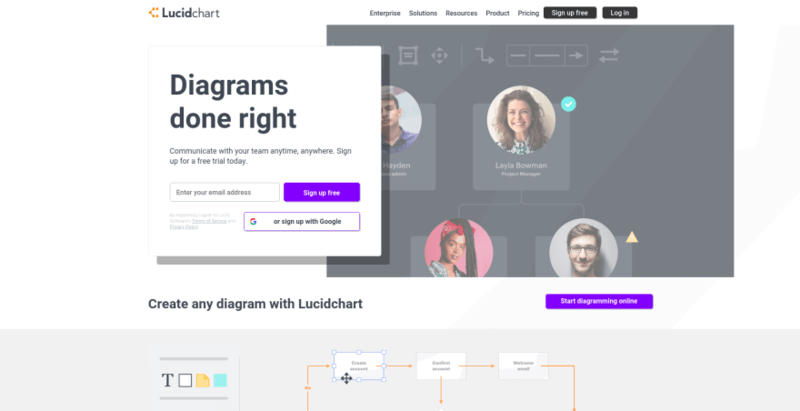 Lucidchart is one of the most universal and versatile tools on this list. Diagrams, flowcharts, mind-maps 😀(more on that later) generally fall into this single category of charts. Fine UI, a big number of different blocks, UML support, different styling options, integrations, and collaboration 🙏 features are what make this tool what it is. Naturally, there is a paid version. 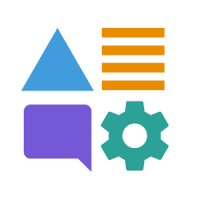 With support for more disk space for assets and an unlimited number of charts, 3rd-party integrations, and team management tools, premium version provides something to look forward to, especially when working with professional-grade or more than 3 diagrams at once. 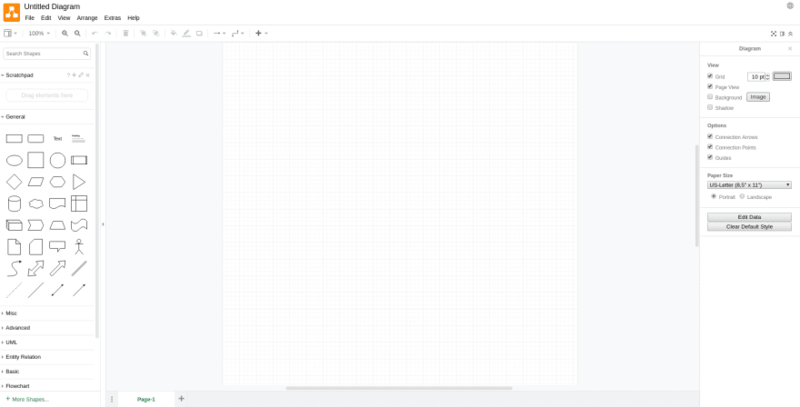 Draw.io is my favorite diagramming tool, and that's for two reasons. First, it's a really well-designed and powerful tool. 💪 Providing features similar to Lucidchart, with exception of it working completely offline. This means that you can save your diagrams (in multiple formats) to places like your device, Google Drive, GitHub, Dropbox and etc. If you ask why then maybe the second fact will make it clear - it's fully open-source! 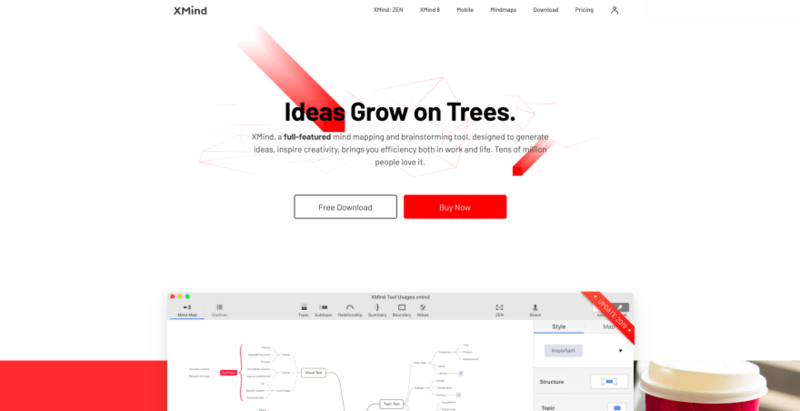 🤯 You can freely use, distribute and work with this tool, totally for free. There are only some small limitations, but, as they help fund the project and are really specific, they most likely won't bother you at all. So, yeah, good UI, UML-support, many available blocks 📦, and styling options and source code available with the price of free sound acceptable, doesn't it? Now we're getting to my personal best 😅 category on this list. Mind-mapping is a quite fresh brainstorming technique 🤓 that gained quite a momentum lately. I guess you've already heard of it. If not, the basic idea here is that you use special connected keywords that form different branches, to note more of your ideas 💡. And, with the addition of colors and drawings, believe me, this can quickly allow you to be more creative and have more ideas for your upcoming projects. Now, why wouldn't you want such a wonderful tool? Well, first it comes at a high cost. It's not a service or subscription-based app, and the total one-time cost can reach more than $200 💸. Also, although there is a mobile, iOS version of this software, it doesn't have the same "magic touch" to it like the desktop one. So, if you like working in a more portable way, this might not really be for you. Otherwise, highly recommended! For quite some time now, XMind comes in 2 versions - XMind: ZEN and XMind 8 Pro. The first is based on a subscription model. It's built on top of the new, lightweight rendering engine, has modern-looking UI, dark mode 🌑 and, like in the title, ZEN mode allowing you to focus on a single mind map. The Pro version, on the other hand, comes with a one-time license fee and provides additional business, presentation, and brainstorming functionalities. There's also a mobile version 📱 of the app which comes with similar tooling to desktop ones and is definitely recommended for all busy and portable people out there. Mindly is a bit different than other tools on this list. It comes only in the mobile version (although there's a preview app available for Macs) and is especially suitable for all people on the go. 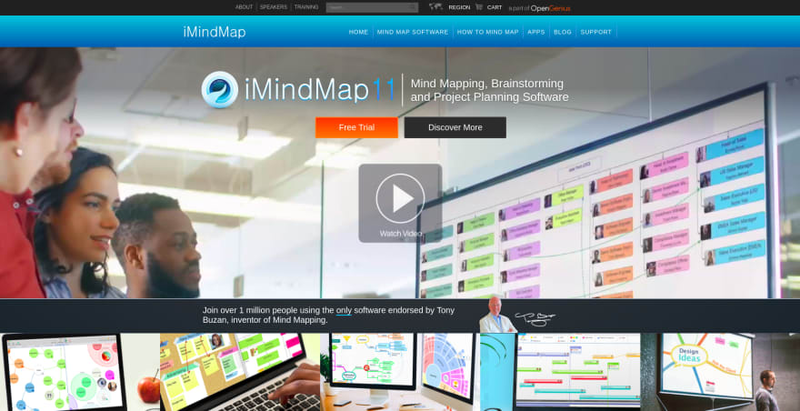 🚶 One of its key features is the new way of mind-mapping it provides. Instead of standard branches, you organize your content in radial structures ⭕ that are meant to reflect the way universe works - planets rotating around the sun. And, as a matter of fact, I can say that I really enjoyed this experience. This app provided me a solid alternative for mind-mapping on mobile in combination with iMindMap on the desktop. With its simple form and basic styling 💄 options, it's a perfect combination for phones and tablets. 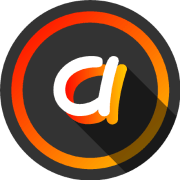 There are plans to bring this app to the big screens (as mentioned earlier), but I personally doubt in this being a good desktop app in its current form factor. Now we're getting to the hidden gem of content planning and project management. 🙂 I'm talking about Kanban. I bet you know what it is even if you haven't heard this term before. You've most likely stumbled upon Trello, right? Well, now you know. Kanban is a simple planning technique centered around a board 📋 with different tasks pinned to it. That's why it's a really good way of organizing your projects, content, time and life. It can also be easily integrated with all the methods mentioned above. You probably already know Trello. It's the most popular kanban tool out there. Used by many big and small companies, it already helped millions of users 📣 with organizing stuff. A simple, predictable and nice-looking interface allows you to quickly manage your boards. That's especially important on-the-go when using the mobile version of Trello. And, believe it or not, you can make Trello even more useful with a number of 3rd-party integrations 🔌 available! Twitter, GitHub, Slack, Google services and automation tools included! 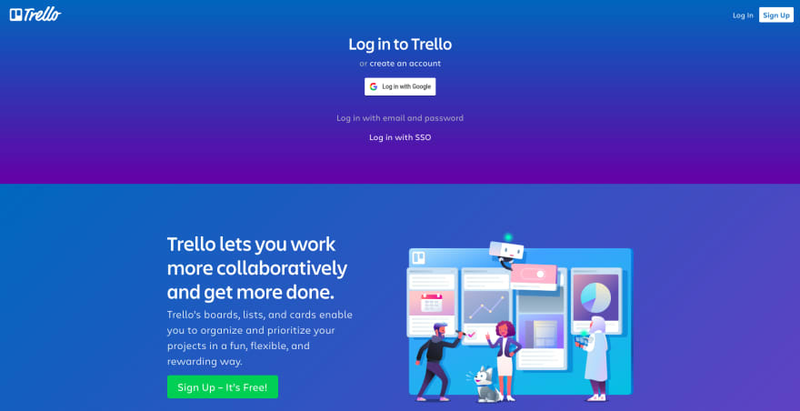 In its basic version, Trello is completely free. Sadly, the limits include only 1 integration per board, smaller attachment size restrictions and fewer theming options. The subscription-based Trello Gold removes all of the previously listed obstacles. 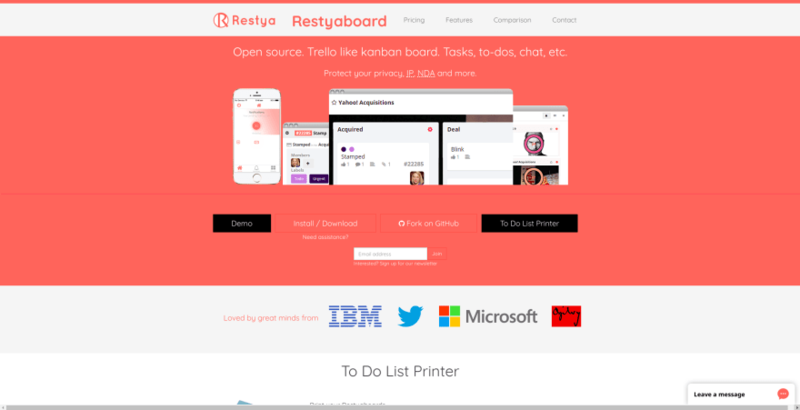 Restyaboard is yet another open-source kanban tool out there. But this time, it's incredibly similar to Trello. With polished UI ✨, some great features and Zapier automation - it can be considered as a viable alternative. Just keep in mind that while open-source, this piece of software is marked with OSL-3.0 license, meaning that there are some use-cases that need to be paid for. I tried all the tools above. And stay not satisfied. Then I found some time ago quire.io/ and stick to it. Love it, and enjoy it. tags, timers, GitHub integration, etc, etc. Try it, you will found it very powerful (personally I think that the tool is the most powerful right now in the whole market). I'm not involved anyhow to this company, I'm not related to this company, I'm just really happy client which finally found what I did search for. I love UX and the feeling from the tool at the same time it is very simple. But, the tool is awesome! I highly recommend. Finally!! Someone has spoken my mind! I've been using this tool since my grad school and continue using this until now! I hate complicated tool, tbh I don't know why people tend to create a software that is "too powerful" with millions of features that users will barely use. I don't want to spend too much time learning a new software, so I'm really happy when I use Quire! It's really intuitive and it helps me organize my work nicely. They're free for now, so i guess you get what you pay for. There's no "too complicated" features like other highend software but I'm working in a small team right now, it's fine. I just hope they have more themes because somehow the light theme is way too light and the dark theme is just.... too dark! I love Quire's nested list + board. Our team add our weekly tasks into a board and keep the rest in the nested list. So we can keep the big picture while we focus on the crucial tasks in a short period of time. Cool, thanks for sharing, @anacondaqq ! I just have one question: is there a way to create new tasks via email? What I mean is, can I configure my email client to auto-forward incoming emails to a Quire.io-specific email address that then creates new tasks (for me, in a specific project, etc.)? As of speaking I don't think they have this feature. I've seen people requesting this and they said it's already on their plan to develop in the future. What works for me in Todos - is less features. I'm using a mix of Notio and my personal approach I am planning to open source. What do you think? It's a minimalist version. Interesting. It's indeed very minimalistic. If this form suits you, you're in a good position. Compared to me - spending more time looking for features than working on an actual product.😅 Also, if you mean Notion.so then, yeah, it's a good tool! Hey @areknawo ! Great article. I've been using Todoist and love it! For me it works really well for allowing me to track the large list of things I want to do without overwhelming me. You can have projects and tasks for work, side projects, home maintenance, good habits, and just regular one off things you have to do. Then, each task can be scheduled to when you want to do it, leaving your "Today" view just the things you're trying to do today. Other apps for me were too much where there was a massive list of TODOs even though they weren't all pressing. Recently discovered Notion and quite like it - definitely a great productivity-tool. There are definitely tons of amazing product out there for task keeping and organisation, but after having tried many different options, I found the best one for me to be Notion.so. It combines every tool from to-do lists, to boards and tables and is highly customisable as well. I originally found out about it on this article from Chris on Scotch. From these comments I see people don't recognize scam and spam at all. This post has nothing to do with "development" at all -- try at least to ctrl+F "dev" on this page. It is just an advertisment spam article that was paid $0.01 by each of 10 web barely useful apps. "Snippets", "code", "git"... dudes, this is a spam post, how don't you understand? Also the "weekly email digest" that I've got from dev.io stinks too: "10 things you didn't know and the 9th will shock you wowowow!!" I'm sorry to make you feel that way. It's uncool. It's a bit natural that if someone writes something about any kind of paid product, people take it as advertising. In reality, I used all of the above tools and enjoyed them. This post was just meant to share my feelings with others. I can guarantee you that I wasn't paid for this post. Anyway, I don't think my blog is even big enough for any form of paid cooperation. For proof you can read my previous posts and what they're about. Anyway, I should thank you for your opinion - at least I know a bit more about what my readers want and expect. Thanks for all the opinons! 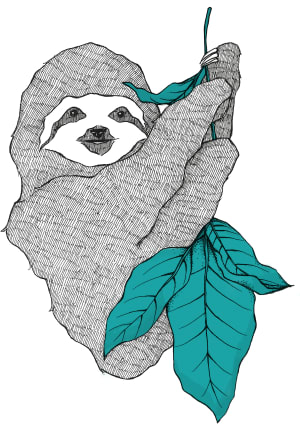 I very much respect them and thus, inspired by this post, a list of Awesome Productivity Software was created! Feel free to check it out and add different options! I'm currently using Google Keep as my single tool for organizing my life. Its amazing how they progressed. You can draw with the Apple Pencil, you can attach images and recordings to notes. This is a great run-down of a ton of different tools! Recent researches suggest that productivity is not about time/task management, but about ability to focus/concentrate. You missing Glo, kanban board by Git Kraken. I'm moved to Glo from Trello for some reason. Give it a try. Biased here, but you should check out Coda which starts you off in a basic doc, but let's you add buttons, tables, and automations to build an app.